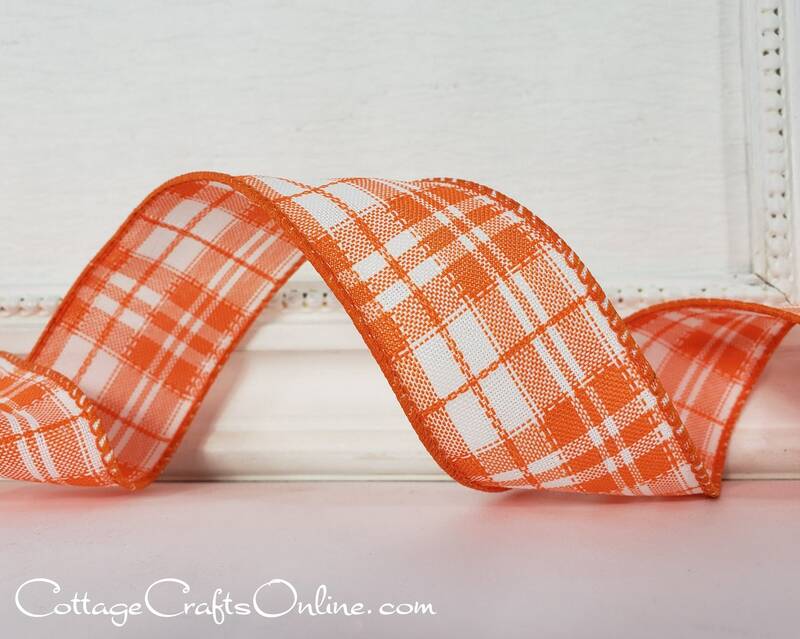 Orange and white woven plaid, 1 1/2" wide, featuring an interesting pick stitch pattern and with a wire edge covered in orange thread from Offray Lion Ribbons. This listing is for a 3 yard length. If you purchase more than one, your order will be cut as one length. RETURN POLICY: Please choose carefully. Once placed, orders for cut ribbons, including this item, cannot be cancelled or returned.